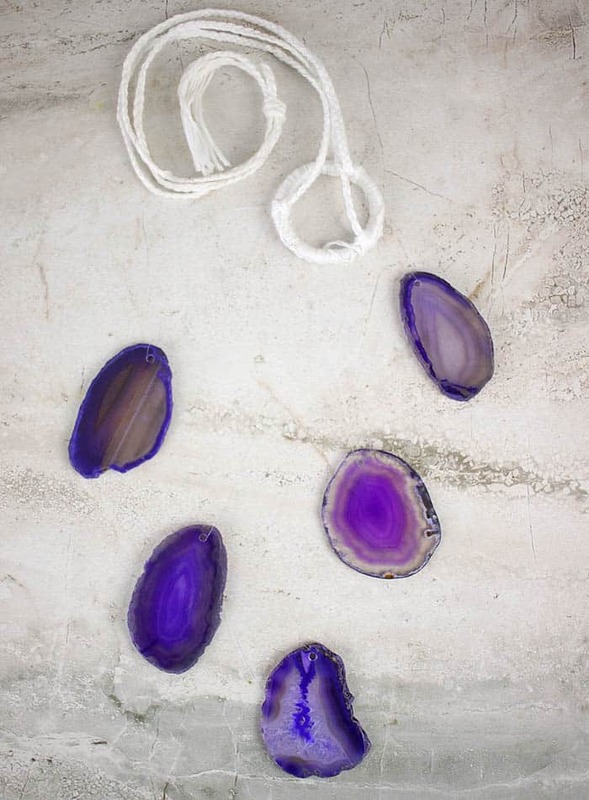 How pretty are geodes??? I love the shapes and the variations in color! 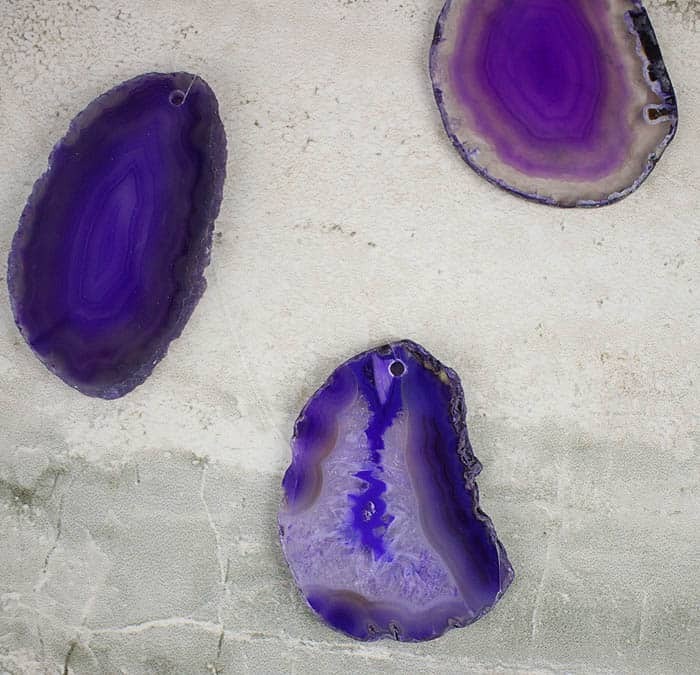 Geode slices are used mostly for jewelry, but I wanted to incorporate them into my home decor. 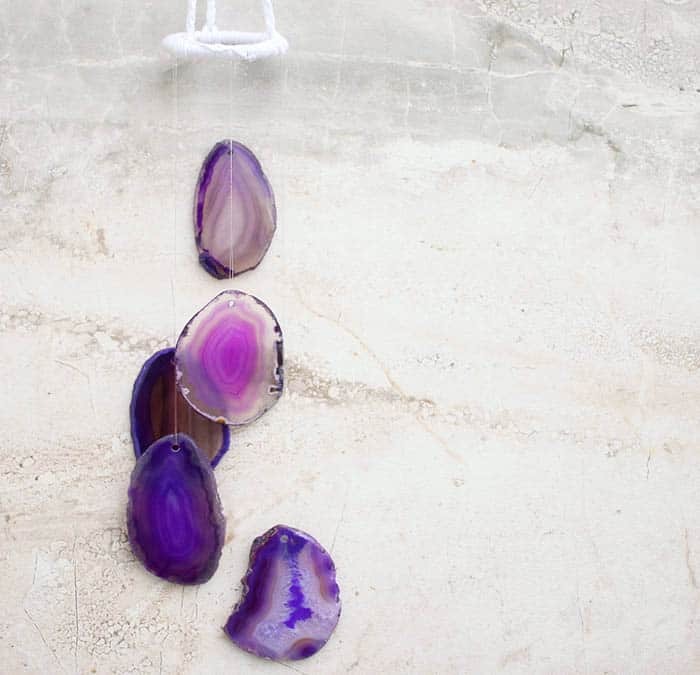 They look so beautiful when the light shines through them, so I decided to make a Geode Suncatcher DIY. Geodes can be pricey but I found a great deal on Amazon. 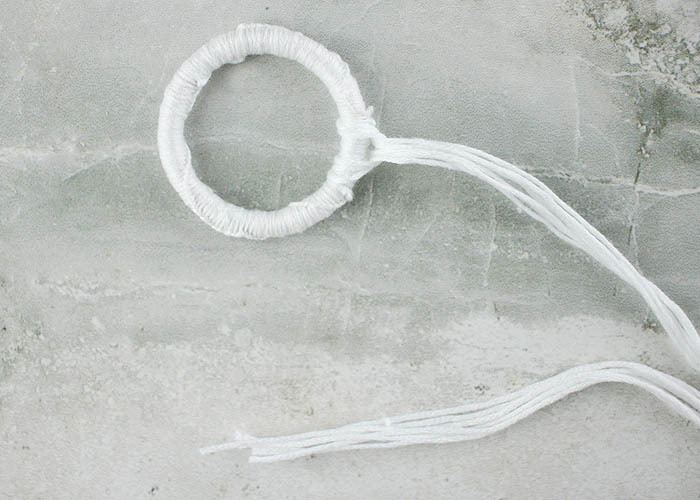 This is an easy project to make and it will look amazing hanging by a sunny window! Want more Home Decor DIYs? Cut 3 strands of embroidery floss 32 inches long. 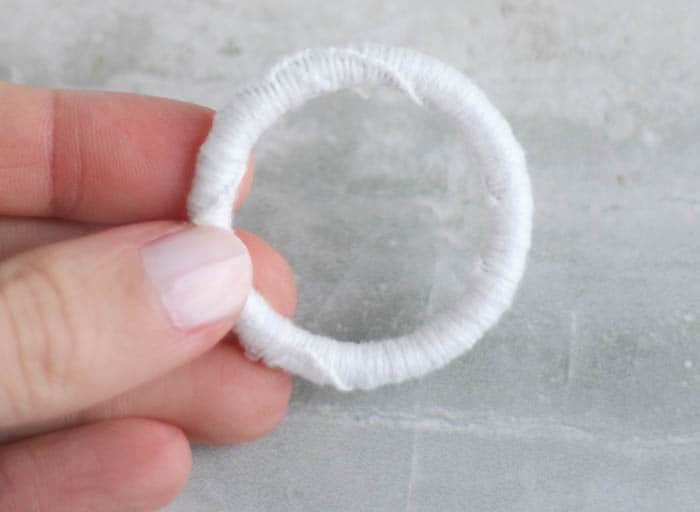 Make a loop in the middle of the floss, put over ring and pull the end through to tighten. 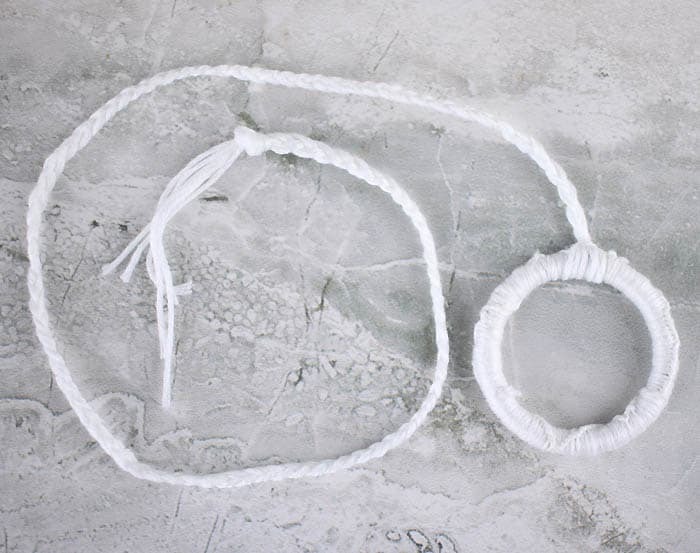 Make 2 more sets of strands, attach to the ring, and braid. 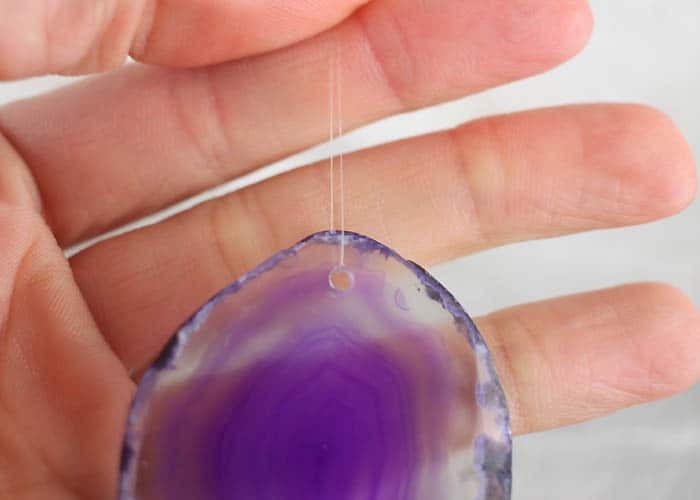 String the nylon thread through the agate. 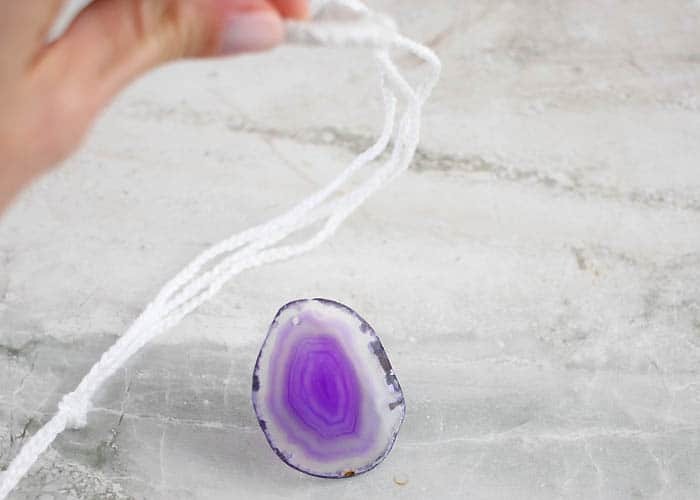 Tie the agate on to the hoop. 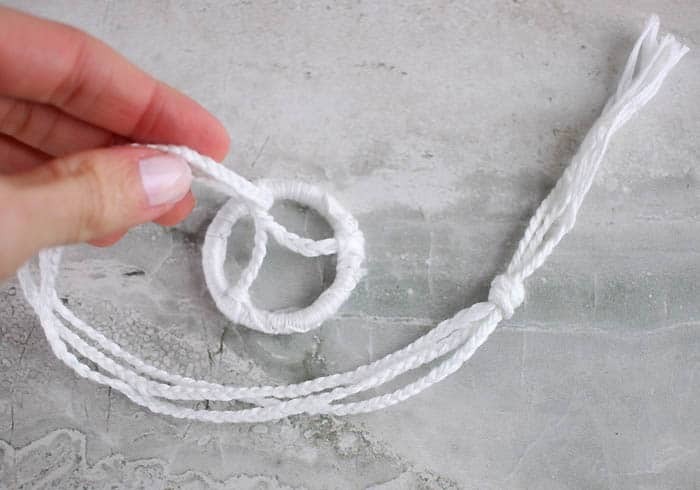 Knot a few times to make sure it’s secure.